Quirk Cachet: Why 'Geeks Shall Inherit The Earth' If there wasn't a spot for you at the cool table in the cafeteria, fear not: In her new book, The Geeks Shall Inherit the Earth, Alexandra Robbins argues that the teen losers of today are the adult success stories of tomorrow. If there wasn't a spot for you at the cool table in the cafeteria, fear not: In her new book, The Geeks Shall Inherit the Earth, Alexandra Robbins argues that the teen losers of today are the adult success stories of tomorrow. Robbins wasn't an outcast in high school, but she wasn't a popular kid either. "I was what's known as a floater," she tells NPR's Liane Hansen. "I could sit at the edge of most cafeteria tables, but was never a part of any one group. I was also a dork. And still am. And proud!" Robbins, who has authored several books about young people, says she was inspired to write Geeks after meeting students all over the country who felt that there was something wrong with them because they weren't in the popular crowd. There are two messages she wants today's teens to hear, she says: "No. 1, being excluded in high school or middle school doesn't mean that anything's wrong with you. And No. 2, popularity also doesn't make you happy." In The Geeks Shall Inherit the Earth, Robbins presents "The Quirk Theory," in which she posits that the interests and passions and idiosyncrasies that get kids teased in school are the very same quirks that turn them into cool, interesting adults. "Many of the differences that cause students to be excluded in school are actually the same qualities or skills that other people are going to admire, respect or value about that person in adulthood," she explains. Just look at rock legend Bruce Springsteen. He wasn't always "The Boss." He was a loner in high school and started a band because he felt like an outsider. Harry Potter author J.K. Rowling was a daydreamer who had her nose in books all the time — not unlike some of the fictional characters she creates today. Rowling remembers being bullied in school. So does fashion icon Tim Gunn; kids made fun of him because he liked to make things ... now he makes things for a (very successful) living. 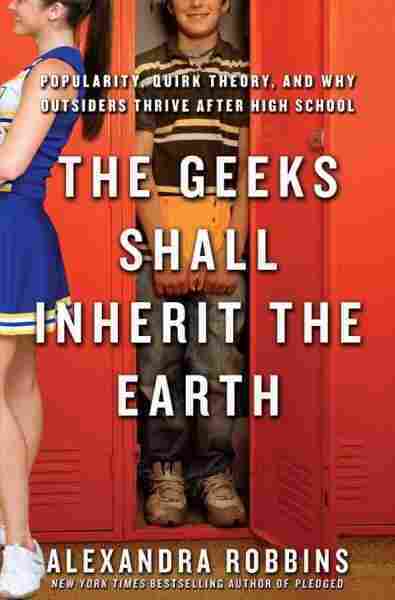 In Geeks, Robbins follows seven students through one high school year. She describes them as "the loner, the gamer, the nerd, the new girl, the band geek and the weird girl." The seventh was a well-liked cheerleader. "She was in the popular crowd, she had been a queen bee," Robbins says. "And yet she was struggling with the way her clique demanded things of its members." Teens feel stuck in their cliques, she adds. "Students today think that they can't switch groups. But it turns out you can, you just have to give people a chance." Though many frustrated high-schoolers find popularity to be more of an art than a science, Robbins actually spent a lot of time researching the psychological science of popularity. She explains there are two kinds of popularity: perceived popularity (based on reputation) and sociometric popularity (based on who is actually liked). Those two aren't always one and the same; just ask any teen the difference between "mean popular" and "nice popular." When it comes to enforcing social hierarchies, Robbins argues that teachers and administrators aren't really as agnostic as they would like to seem. "There are three elements to perceived popularity," she explains. "A student has to be visible, recognizable and influential." Athletes and cheerleaders — students who generally score high on perceived popularity — are the students the school promotes as role models for the student body, Robbins argues. Alexandra Robbins is also the author of Pledged: The Secret Life of Sororities and The Overachievers: The Secret Lives of Driven Kids. She says that in high school she was a "floater." For all the thousands of dollars some schools are spending on anti-bullying campaigns, by promoting some activities above others, the school is "telling students essentially who should be picked on and who shouldn't," Robbins says. But there are plenty of positive things that teachers can do. Robbins recommends pairing unlikely students to work together in class, and making sure students from all different cliques are treated equally. Teachers should also be mindful of their own friendships at school, Robbins reminds; students are extremely sensitive to social hierarchies and can sense cliques among their teachers, too. These days, geeks seem to be enjoying a moment in the sun: Things that were once geeky — video games, science fiction, fantasy books — are now quirky-cool. And geek-glorifying shows and movies — think: Glee, Napoleon Dynamite and Big Bang Theory — have enjoyed enormous popularity. And then there are the geeks all grown up: Facebook's Mark Zuckerberg, Microsoft's Bill Gates and Apple's Steve Jobs. Have geeks already inherited the Earth? "I think in the adult world, they're getting there," Robbins says. "I think people are much more accepting and much more embracing of differences." Perhaps this generation of high school losers will prove Robbins' Quirk Theory once and for all. Early 2011. Bullying in school has recently driven several teenagers to suicide. Exclusion and clique warfare are so rampant that the media declares bullying an epidemic and rallies for the public to view the tragedies as a national wake-up call. Throngs of students who are not outright bullied are disheartened because it is getting increasingly more difficult to become an "insider," to fit into a group, to be accepted as "normal." Students feel trapped, despairing that in today's educational landscape, they either have to conform to the popular crowd's arbitrary standards — forcing them to hide their true selves — or face dismissive treatment that batters relentlessly at their souls. Schools struggle to come up with solutions. Even the most beloved parents are met with disbelief when they insist, "This too shall pass." Adults tell students that it gets better, that the world changes after school, that being "different" will pay off sometime after graduation. But no one explains to them why. Cafeteria fringe: People who are not part of or who are excluded from a school's or society's in crowd. What could motivate kids to be so heart-crushingly cruel that they convince a girl to join her own hate club? In the decade I've spent examining various microcosms of life in U.S. schools — from the multitude of students pressured to succeed in school and sports to the twentysomething products of this educational Rube Goldberg machine — a disturbing pattern has emerged. Young people are trying frantically to force themselves into an unbending mold of expectations, convinced that they live in a two-tiered system in which they are either a resounding success or they have already failed. And the more they try to squeeze themselves into that shrinking, allegedly normative space, the faster the walls close in. The students outside these walls are the kids who typically are not considered part of the in crowd, the ones who are excluded, blatantly or subtly, from the premier table in the lunchroom. I refer to them as "cafeteria fringe." Whether alone or in groups, these geeks, loners, punks, floaters, nerds, freaks, dorks, gamers, bandies, art kids, theater geeks, choir kids, Goths, weirdos, indies, scenes, emos, skaters, and various types of racial and other minorities are often relegated to subordinate social status simply because they are, or seem to be, even the slightest bit different. Students alone did not create these boundaries. The No Child Left Behind law, a disproportionate emphasis on SATs, APs, and other standardized tests, and a suffocating homogenization of the U.S. education system have all contributed to a rabidly conformist atmosphere that stifles unique people, ideas, and expression. The methods that schools and government officials claimed would improve America's "progress" are the same methods that hold back the students who are most likely to further that progress. In precisely the years that we should be embracing differences among students, urging them to pursue their divergent interests at full throttle, we're instead forcing them into a skyline of sameness, muffling their voices, grounding their dreams. The result? As a Midwestern senior told me for my book The Overachievers, high schoolers view life as "a conveyor belt," making monotonous scheduled stops at high school, college, graduate school, and a series of jobs until death. Middle schools in North America have been called "the Bermuda triangle of education." Only 22 percent of U.S. youth socialize with people of another race. U.S. students have some of the highest rates of emotional problems and the most negative views of peer culture among countries surveyed by the World Health Organization. Too many students are losing hope because of exclusion or bullying that they believe they're doomed to experience for the rest of their lives. It is unacceptable that the system we rely on to develop children into well-adjusted, learned, cultured adults allows drones to dominate and increasingly devalues freethinkers. In 1957, theologian Paul Tillich told a graduating university class, "We hope for nonconformists among you, for your sake, for the sake of the nation, for the sake of humanity." More than half a century later, schools, students, and sometimes parents treat these nonconformists like second-class citizens, squelching that hope. There is too much pressure on children to conform to a narrowing in-crowd image, when we should be nurturing the outsiders who reject that image. In large part, those are the individuals who will turn out to be the kinds of interesting, admired, and inspiring adults who earn respect and attention for their impact on their community or the world. Or even the celebrisphere. Author J. K. Rowling, who has described herself as "a squat, bespectacled child who lived mostly in books and daydreams," was bullied in school because she was different. Her heroic wizards and witches, who have entranced millions of readers worldwide, "are plainly outcasts and comfortable with being so," she has said. "Nothing is more unnerving to the truly conventional than the unashamed misfit!" Musician Bruce Springsteen was so unpopular in high school that, "other people didn't even know I was there," he has said. He started a band because "I was on the outside looking in." 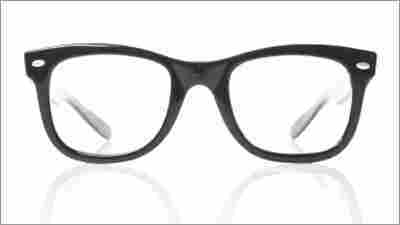 Television host Tim Gunn, who identified himself as "a classic nerd" in school, was "crazy about making things: I was addicted to my Lincoln Logs, Erector Set, and especially my Legos," he has said. "Between my stutter and my fetishizing of Lego textures, I was taunted and teased." Now Gunn is a fashion world icon precisely because of his eye toward "making things" — and his catchphrase, "Make it work," has become famous. All of these people exemplify what I call quirk theory. Quirk theory: Many of the differences that cause a student to be excluded in school are the same traits or real-world skills that others will value, love, respect, or find compelling about that person in adulthood and outside of the school setting. Quirk theory suggests that popularity in school is not a key to success and satisfaction in adulthood. Conventional notions of popularity are wrong. What if popularity is not the same thing as social success? What if students who are considered outsiders aren't really socially inadequate at all? Being an outsider doesn't necessarily indicate any sort of social failing. We do not view a tuba player as musically challenged if he cannot play the violin. He's just a different kind of musician. A sprinter is still considered an athlete even if she can't play basketball. She's a different kind of athlete. Rather than view the cafeteria fringe as less socially successful than the popular crowd, we could simply accept that they are a different kind of social. To investigate the cause and consequence of the gut-wrenching social landscape that characterizes too many schools, I followed seven "main characters" — real people — for a year and interviewed hundreds of other students, teachers, and counselors individually and in groups. I talked with students from public schools, private schools, technical schools, schools for the arts, boarding schools, college prep academies, inner city schools, small rural schools, and suburban schools. They have more in common than they know. While for previous books, I acted merely as an observer, narrating stories as they happened, with this book I crossed a line. In the middle of the school year, I surprised my main characters by issuing them a challenge that dared them to step outside of their comfort zone. If successful, I hoped these experiments could bring them closer to the school experience they genuinely wanted. To understand why the cafeteria fringe will be much better off after leaving the school setting, it helps to know how they become outcasts in the first place. Throughout the following chapters, I explain in what I hope is entertaining prose the psychology and science behind questions such as: "Why are popular people mean? ", "Why is seventh grade the worst? ", "Why are outsiders better off after school? ", "Why do social labels stick? ", "Why can't groups get along? ", "Is popularity worth it? ", and "How can we improve the school experience?" To explain these student group dynamics, I spoke to experts and reviewed hundreds of articles and books on psychology, sociology, anthropology, and other sciences. Much of what I learned was unexpected. Slip with me a few tiers down below the in crowd — below the cliques that include people who say, as one popular girl told me, "I'm not friends with losers" — into a world of students who are overlooked, disparaged, or completely dismissed. Descend to the plane where beneath the gridded, rigid hallways of robotic social hierarchy runs a parallel labyrinth humming with a current of new ideas, alternative philosophies, and refreshing points of view. Here is where you'll find the people who are brave enough to be true to themselves, where you'll encounter the interesting and innovative minds that eventually will drive the engines of creativity and progress. Peer behind their labels. Immerse yourself in these forgotten corridors to meet the denizens known as the cafeteria fringe. From The Geeks Shall Inherit the Earth: Popularity, Quirk Theory, and Why Outsiders Thrive After High School by Alexandra Robbins. Copyright 2011 Alexandra Robbins. Excerpted by permission of Hyperion Books.